Tasting notes Colour : Deep purple, ruby-red Nose : Elegant and complex with a quintessence of small black berries, truffles, mocha and aromas of marmalade which finish on vanilla notes. Mouth : Balanced and rich with silky tannins. Long finish in the mouth with notes of plums. Ageing : More than 5 years Food and wine pairing : Serve at 17°C with pasta, barbecues, chicken, terrines, medium to strong cheeses and chocolate cake. Or, can be enjoyed on its own. Se sert à 17°C sur des pâtes, des barbecues, du poulet, des terrines, des fromages moyens à très forts et du gâteau au chocolat. Ou à apprécier seul. In several years, Arrogant Frog has become the Domaine Paul Mas mascot. The humble oenologist has shown that, with creativity, expertise and humour, it is possible to take Sud de la France wines to the four corners of the earth and enjoy yourself without breaking the bank. 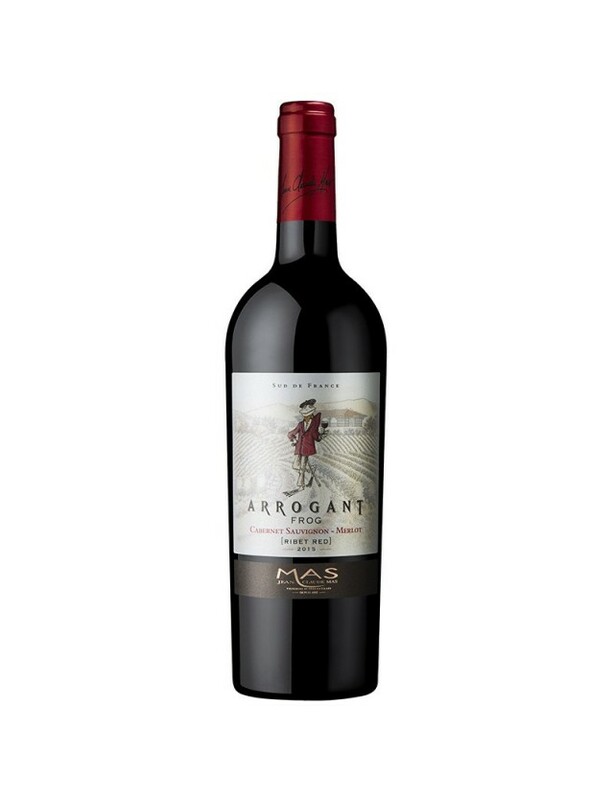 Arrogant Frog is representative of our way of life in the south of France. The Arrogant Frog vintages are: Château Arrogant Frog, Arrogant Frog Réserve and a range of blends and single-grape wines.